Minimally invasive surgery is associated with improved postoperative outcomes compared to open surgery for a variety of operations, which has led to its expansion to the field of liver surgery. Laparoscopic liver surgery has been increasingly used over the last two decades, and its safety and benefits in appropriately selected patients are being recognized. Robotic-assisted liver surgery maintains the benefits of faster recovery associated with minimally invasive surgery and provides superior visualization and ergonomics, however, at higher cost. At the same time, minimally invasive liver surgery poses unique challenges and entails a steep learning curve. The application of new technologies provides further capabilities in an exciting changing landscape. 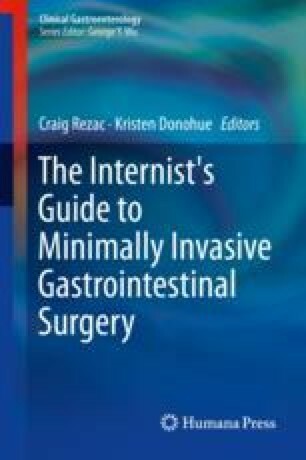 This chapter provides an overview of the evolution of minimally invasive liver surgery over the last two decades, its benefits over open liver surgery, the challenges encountered, and its future directions. We would like to thank Indra Mahajan PhD for her critical editorial review of this manuscript.